There are two pet sheep at Mooseys (as well as Haru, the 2006 pet lamb) - dear old George, a merino wether from way back, and the bumptious woolly bully Fred, breed unknown. 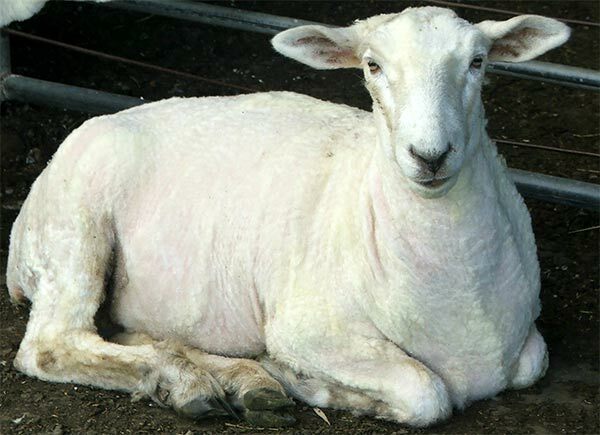 This spring is Fred's first shearing time. 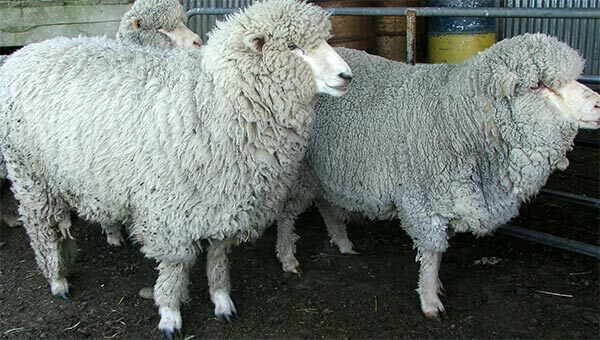 Fred lamb was rescued by a friend and offered a life of grass munching and wool producing in the lush green pastures at Mooseys Country Garden. No problem! A pet lamb would be fun to look after! It's been almost a year since Fred went 'down the back'. Now going 'down the back' is good - there's a paddock with lovely sweet grass, water and shelter - definitely not to be confused with the sheep-euphemism 'down the road'. A good pet-lamb mother knows when to cut the ties. So I deliberately didn't go down the back very often, preferring to let Fred make his own way in the sheep world. He needed to realise that he was a sheep, and bond with the others. But how I remember those early days! Fred was a terribly needy, pushy lamb, forever demanding his bottle. Weaning was a difficult time, one that Fred had much difficulty accepting. Let me tell you it's no fun being chased down the drive by a bleating, barrel-shaped, extremely large lamb! Nor did the neighbours enjoy him jumping their fence and charging though the rosemary onto their patio, whenever they tried to have a barbecue. I suspect there were a few thoughts of lamb chops. 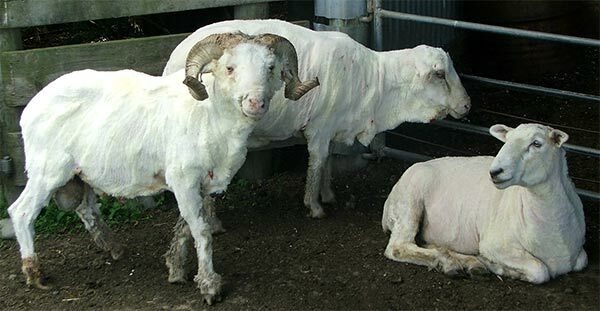 At this year's shearing time I wondered how Fred would behave. It would be his very first time under those buzzing blades. 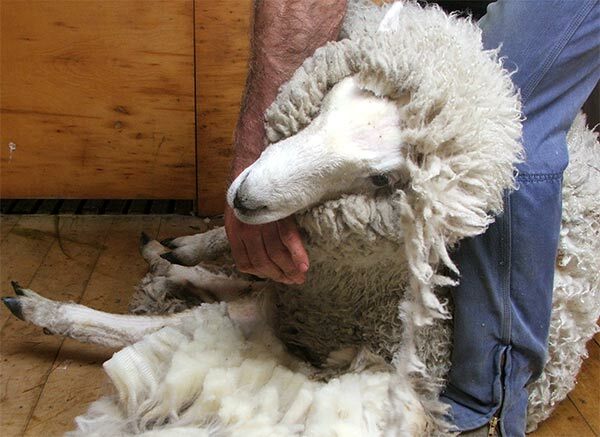 The first shearing is a rite of passageway into adult-sheep-hood. I was a proud mother, although apart from beating loudly at me (aargh! that dreadful sound!) Fred showed little recognition. 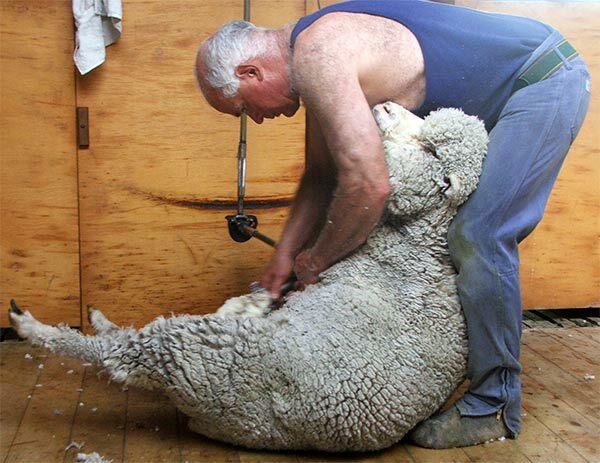 And, like a mother at graduation, I couldn't resist taking photographs of Fred's first shearing session, strictly for the family album. So I have the classic before and after shots and several pictures of Fred in less than flattering poses in the burly arms of Mike the shearer. 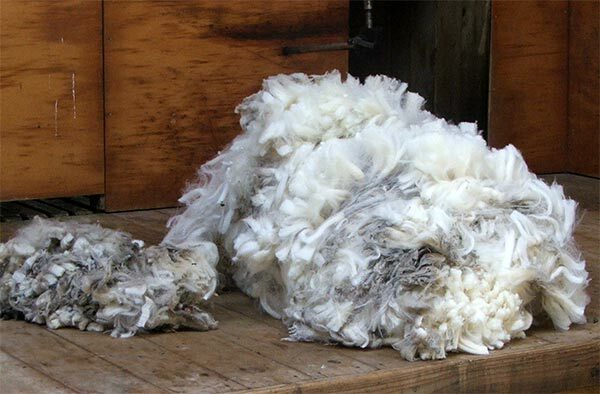 And Fred's first fleece is captured in beautiful woolly colour. Even though, being non-merino, it is classified officially as an oddment, I'm jolly well proud! George the old pet sheep had to have his photograph taken too - after all, it only seemed fair. One can't make a fuss of one without the other - mothers know that! Then after their big day the three boys (George, Fred, and Charles the ram) obliged with a beautifully posed photograph in the sheep yards. They worked the camera, Charles showing off his shapely legs, a trio of woolly regency dandies. I tried to get the final photographs when the boys were back in the paddock, but it was all heads down, bottoms up. Photographs of freshly shorn sheep's bottoms are not suitable for public viewing - and Charles the ram's back view is definitely off limits! Congratulations to Fred, and welcome to the real sheep world!